Greece. One of the greatest nations in history. From ancient Greece came much great architecture, music, drama, design, art, philosophy, and democracy. The country was a cornerstone for western civilization and was built, destroyed, rebuilt, divided, conquered, and reformed several times throughout history. The Greek islands played key roles in much of this historical period. The islands’ were traded back and forth throughout the ages between various ownership. It wasn’t until Greece obtained it’s final independence in 1821 that it began to get back the islands. 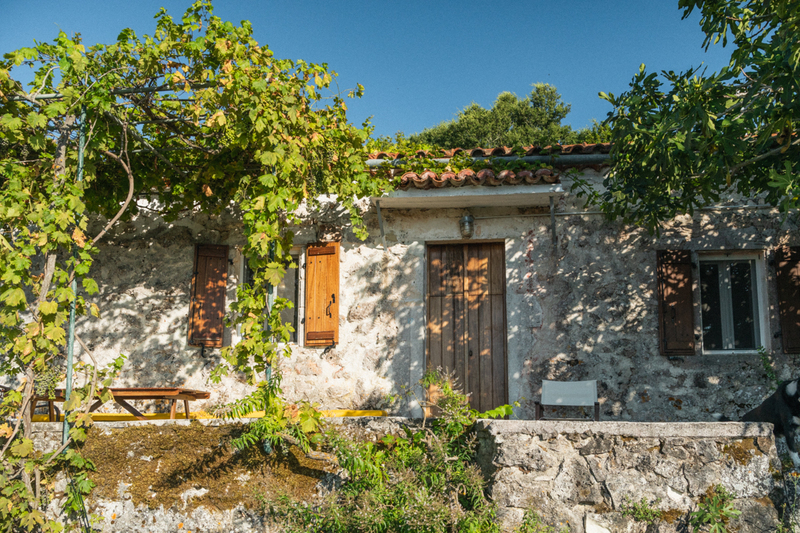 This rich history combined with it’s amazing landscapes that really draws me to the Greek islands. I decided to spend some time roaming around some of the islands. 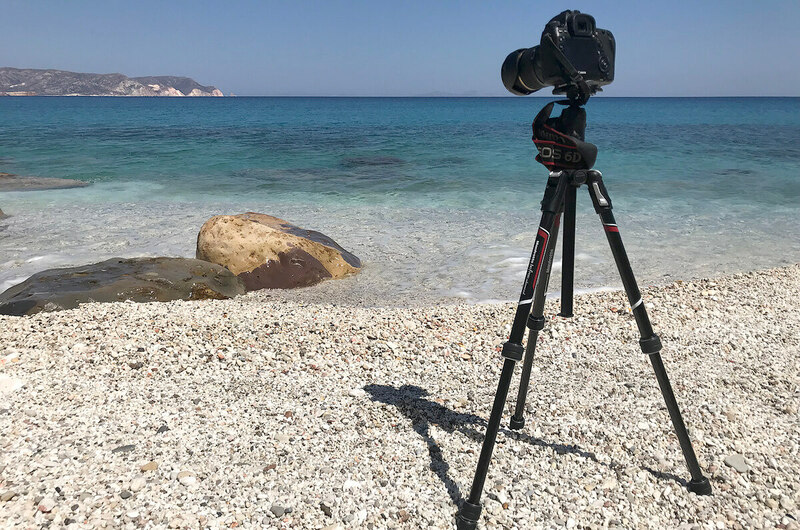 I spent one week on Milos in the Cyclades islands of the Aegean Sea which is the eastern end between Greece and Turkey, and one week in Kefalonia of the Ionian islands in western region between Italy and Greece. 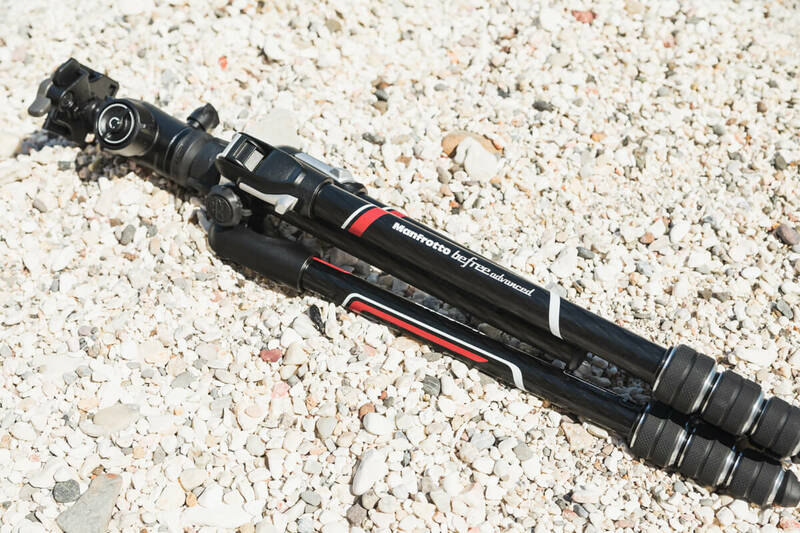 I packed up my camera gear and took along the brand new Befree Advanced carbonfiber travel tripod to test out along the way. 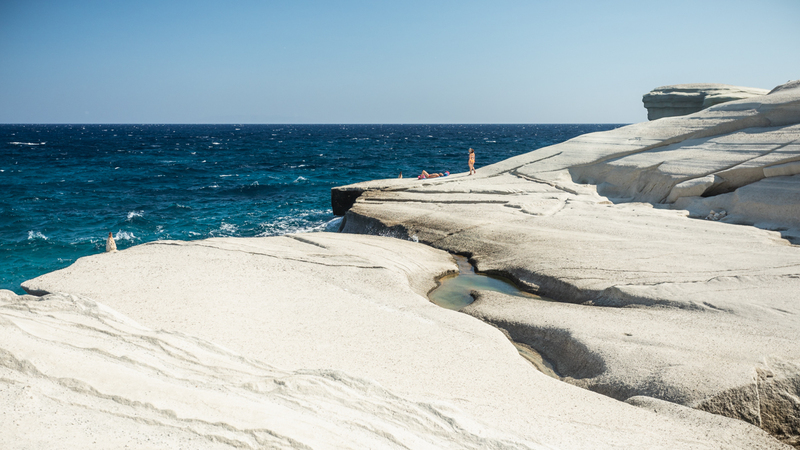 When people think of the Greek islands, often the first thing that comes to mind is the image of white buildings built on the cliffs over the sea. 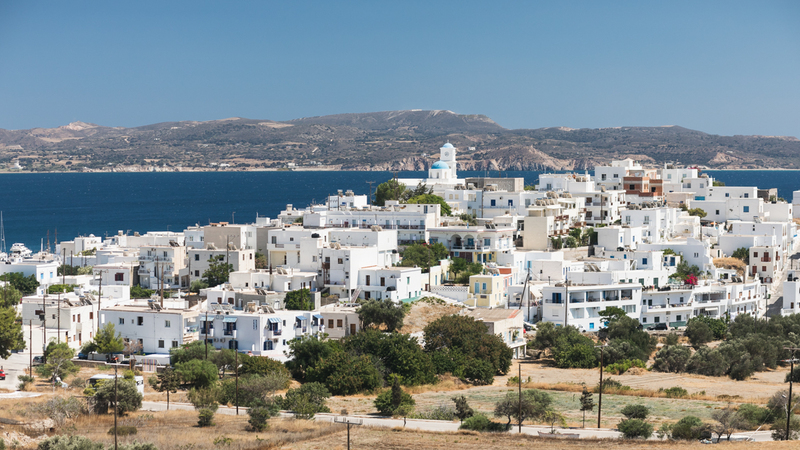 That is the classic Greek island visual; bright white building with blue shutters or roofs standing on crude rock over a deep blue sea. I love this. It somehow looks old, historical, classic, and modern all at the same time. Very “Greece”. Greece is also known for it’s amazing landscapes. 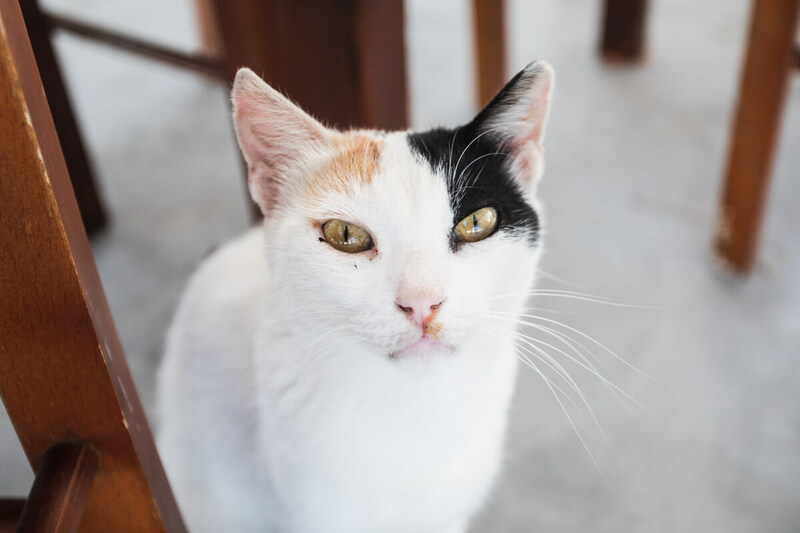 Depending on where you go you can find tall yellow and white cliffs over the sea, rolling green hills, arrid desert, lush green pine forests, and white pebble beaches. 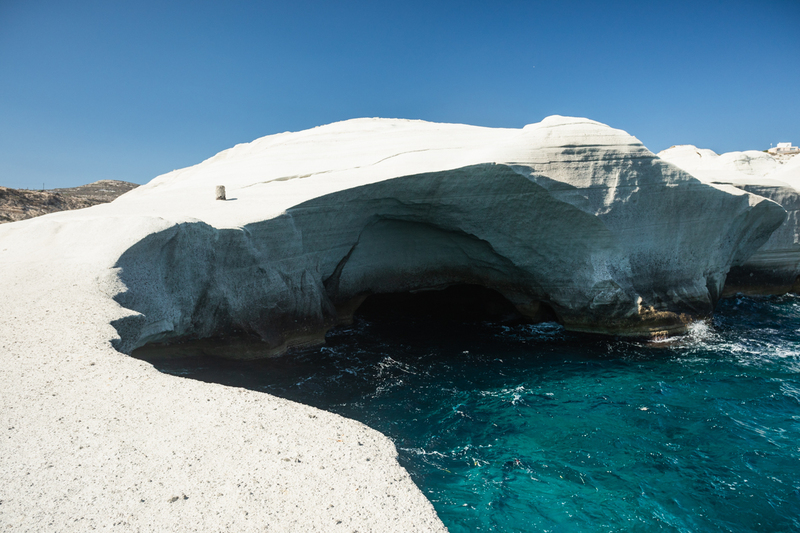 I first visited Milos in the Cyclades. 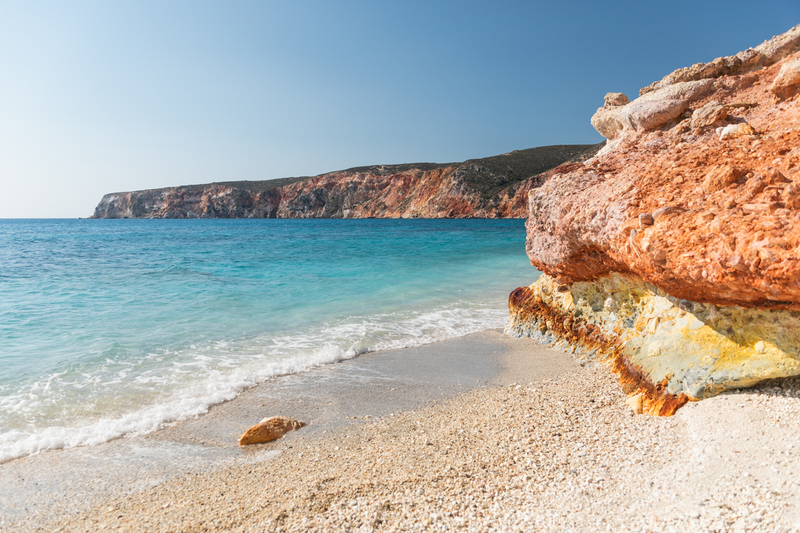 The Cyclades is a group islands in the Aegean Sea composed of 220 islands in total. 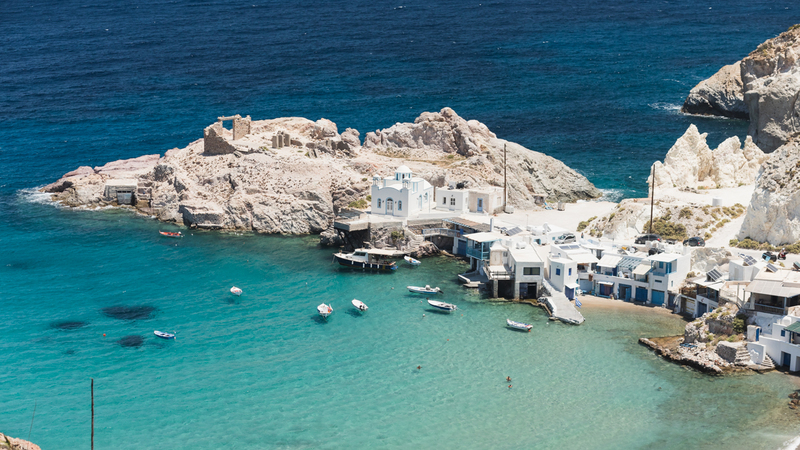 The main islands of the Cyclades are Amorgos, Antiparos, Delos, Ios, Kia, Kynthos, Milos, Mykonos, Naxos, Paros, and Santorini. Milos along with Santorini are volcanic islands in the region. Santorini is probably one of the most visited destinations in the Greek islands, I opted for something a little less touristy as I wanted a more authentic experience. 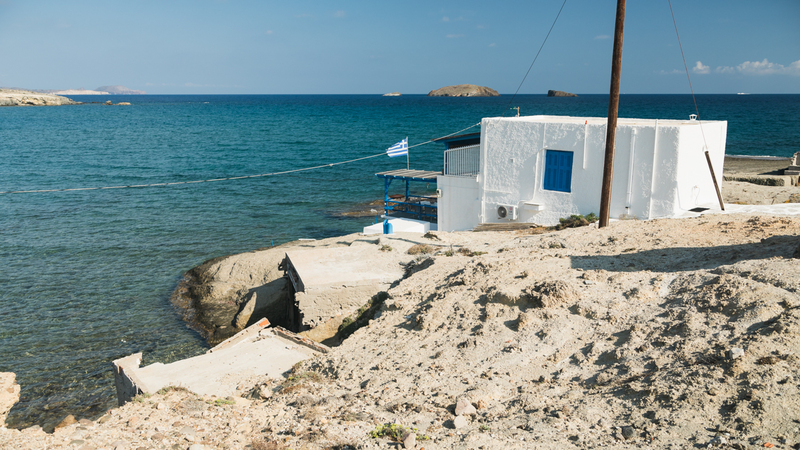 Milos is a very, very small island and has this very primitive feeling to it. It isn’t the easiest place to get around, more than half the island doesn’t even have a paved road going through it and is only accessible by a good all wheel drive vehicle. 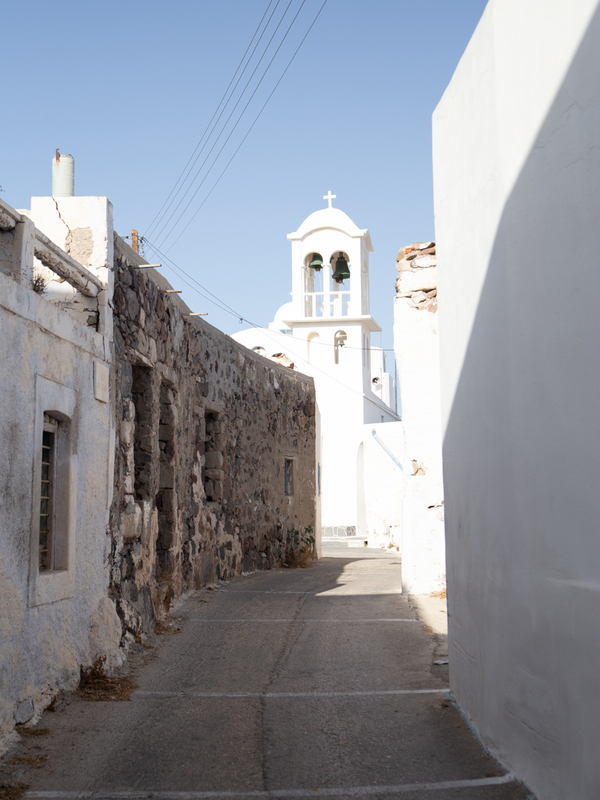 The main village are a twisting entanglement of roads and alleyways through old buildings and stone laid pathways that add great charm to the island. The beaches are mostly narrow, rocky coves with pebbles or stones and some beautiful structures in the rocks. 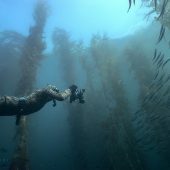 The diversity that you can find along the coast line is really impressive. Everything from white rock walls in to the sea to dark stone arches and colorful rocky bluffs. The island is extremely dry with the interior looking like an empty high desert region. Along the winding roads I carried my gear and my new Befree Carbonfiber tripod. This thing is amazing. I had the first generation of the Befree series in which I wrote an article on years back. I enjoyed that one and I am happy to see the improvements they made from the previous version. The BeFree is a great travel companion, it is extremely light and durable in carbonfiber weighing in at 1.2kg (2.6 lbs)! When I am out traveling for longer periods, every bit of weight counts for baggage reasons and just for carry weight when I am on the move hiking or walking locations. 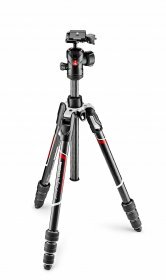 The Befree Advanced comes with the new “M-lock” twist lock legs that make it so that you can set up the tripod in seconds. My last Befree came with snap locks, which have their benefits, but I greatly prefer the twist locks. They are smooth and with just the slightest turn I can open and extend the legs. This is a great advantage when I was driving along the coast line and wanting to stop every few minutes to jump out and take photos. I could hop out the car and pull out the Befree for a quick photo, collapse it back down and be on my way. The high quality carbonfiber legs keep the weight low, durability strong with good vibration absorption when winds are strong. I gave the carbonfiber a good test of durability when it slipped from under my arm and fell down a little rocky bluff, skittering across rocks along the way. Barely even much of a scratch on it, let alone any denting or breaking. The legs seem extremely study even with a full frame camera and bulky lens. 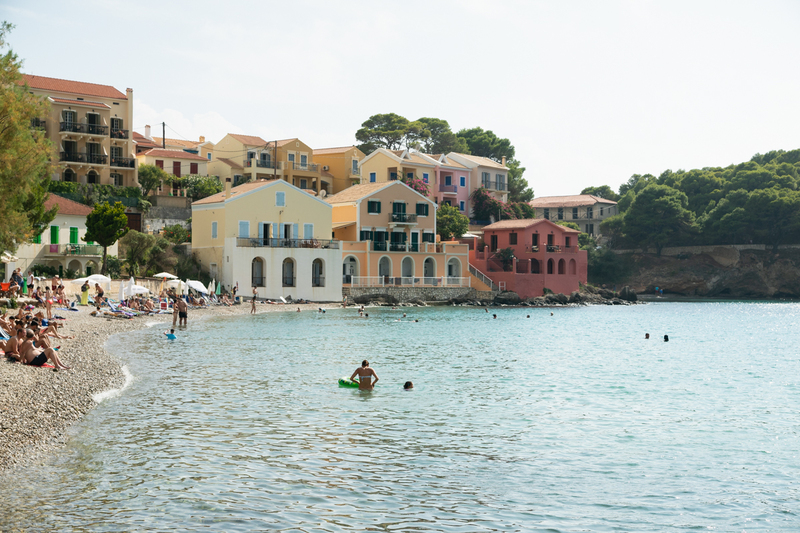 My second location was on Kefalonia in the Ionian islands. The Ionian islands are west of mainland Greece in the Ionian Sea. 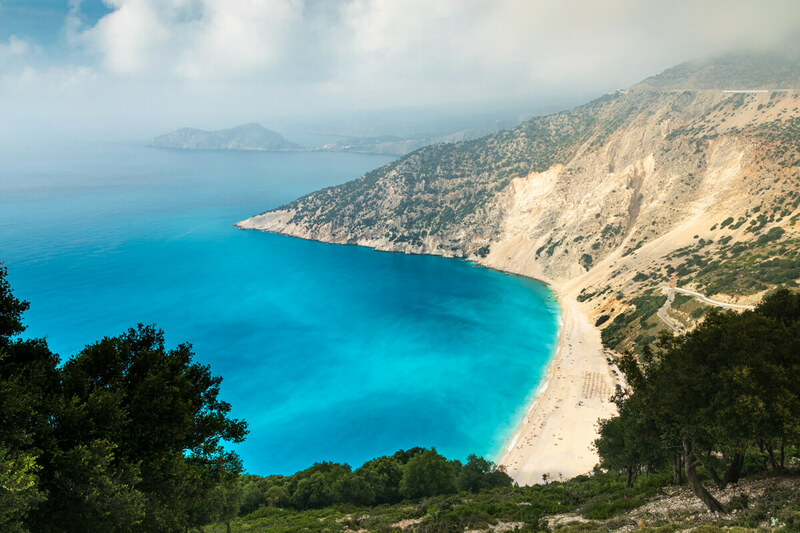 They include Kefalonia, Ithaca, Corfu, Lefkada, Paxi, Zakynthos, Kythira. This island was really contrasting to Milos and the Cyclades. 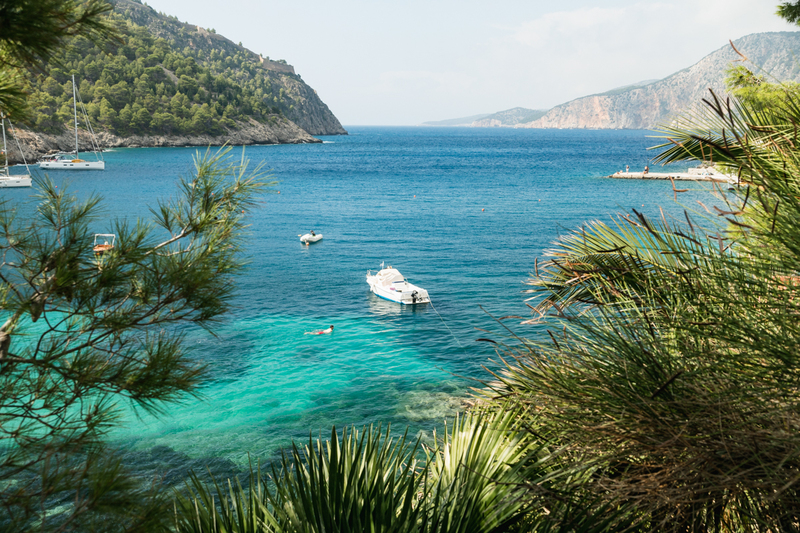 The Cyclades are very dry, desert looking islands while Kefalonia is mountainous and covered in green, pine forest. It’s quite a sight to see. Large cliffs looming over sparkling blue water and dense forest across the interior. 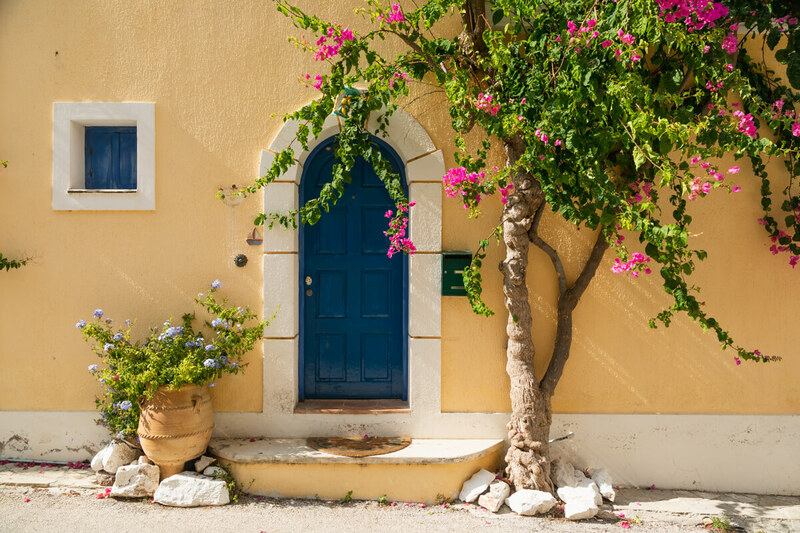 The other interesting feature of Kefalonia is the architecture on the island. Much of it isn’t the normal white walled buildings you see lining most of Greece, but the island has these traditional stone houses. They are very Bavarian fairytale looking sitting along the pine forest covered hills. 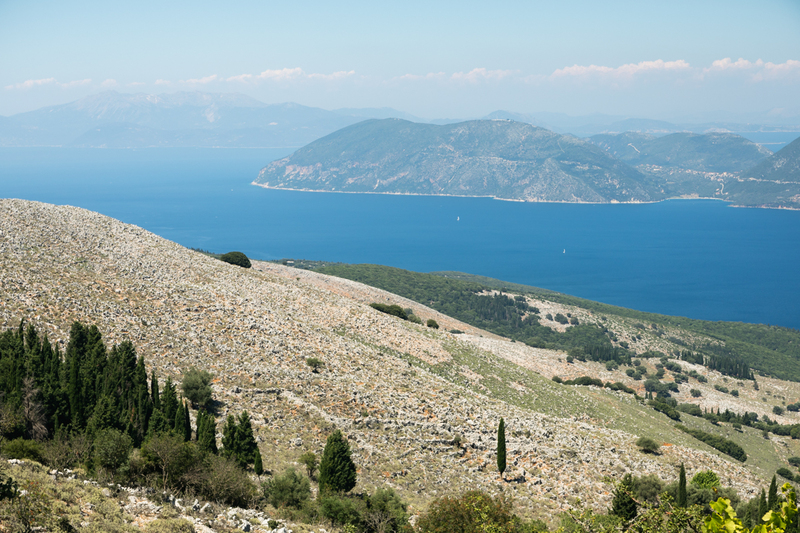 Kefalonia has this kind of wild, open feeling to it like you get when you’re high in the mountains. The vast size and height of the island often made me forget I was even on an island… Until you drive along the coast and see the amazing white pebble coves nested below the cliffs. What an amazing sight. There is something special about white stone beaches to me. I think it’s just the uniqueness of them, they aren’t sand and most stone is generally darker in color. It’s really beautiful. 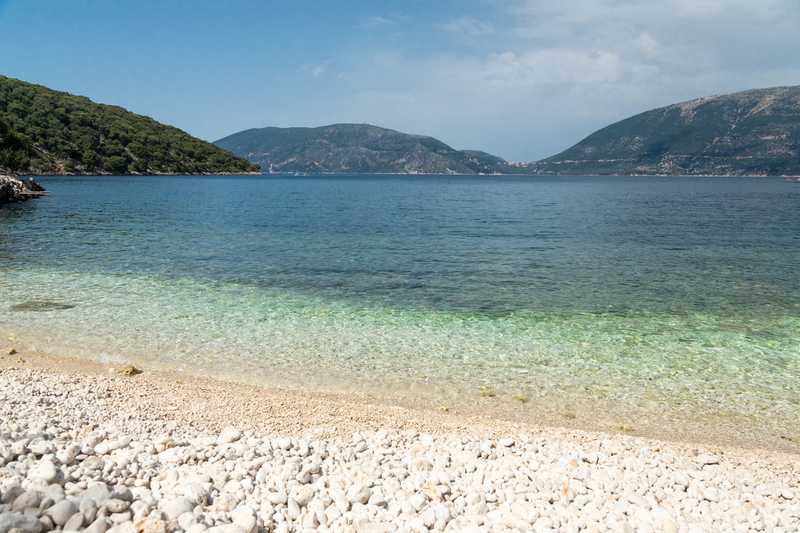 There’s just something special about the Greek islands. it’s a mix of peacefulness, beauty, and culture that really touches you inside.